Photo of: East Coast of Ireland: Wicklow: Sugarloaf Mountain. 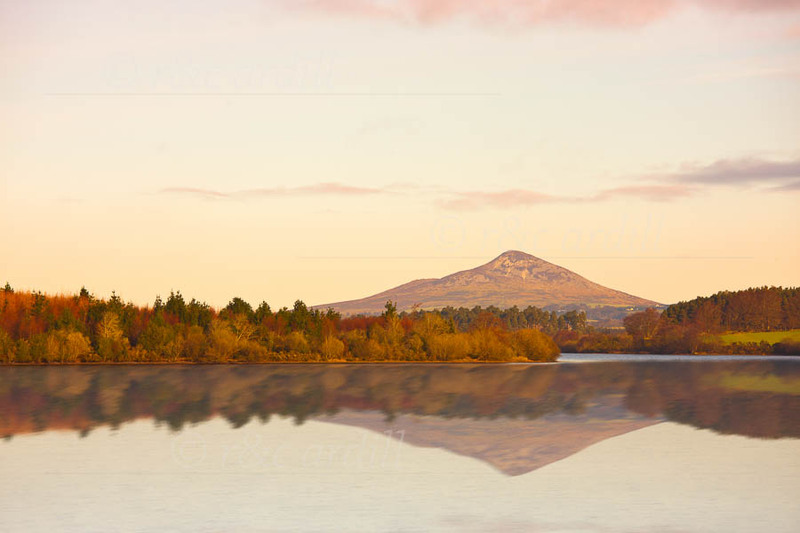 A view of the Great Sugarloaf taken from the Roundwood reservoir on a calm winter's day. The Sugarloaf is a very distinctive hill that towers above the small village of Kilmacanogue. Some people believe that the Great Sugarloaf is an extinct volcano, but it is in fact a Cambrian quartzite (a hard sparkly stone resulting from the heating and compression of sandstone by tectonic compression).